The beach of Matagorda is one of the most picturesque beaches of Puerto del Carmen. Located in the area of ​​Matagorda, it is a quiet beach bordered by a beautiful promenade that leads you into the main resort of Puerto del Carmen. The Commercial centre in Matagorda is a hive of activity with bas, shops and restaurants. This area of Puerto del Carmen is popular with tourists who have walking difficulties as most of the area is flat, unlike the new and old town of Puerto del Carmen. Villa LVC311571 and Villa LVC311600 are both within walking distance to the commercial centre and beach in Matagorda and are suitable for guests with such difficulties. Did you know when booking a holiday between £100 and £30,000 you can make a claim if the airline or holiday company goes bust? You dont even have to pay the whole balance using your card. You are eligible even if you have just paid the deposit in most cases. You can be covered if the airline goes bust, if the holiday company goes bust and also additional expenses such as buying more expensive flights to get home after an airline has failed. Tias is one of the oldest towns in Lanzarote and has become one of the most popular areas for British people relocating to the island. Its just a short drive to the tourist resort of Puerto del Carmen but benefits from a peaceful sleepy ambience. There are some very nice restuarants and a selection of interesting shops situated on and around the towns main road. The town became popular way back in the eruptions in the 1700’s when most of the south became covered in lava. The benefits of booking a villa in Tias are the views. The town is elevated and has views of the resort of Puerto del Carmen and the Atlantic ocean which means that the vilas we have in this area benefit from these fantastic panoramic views. 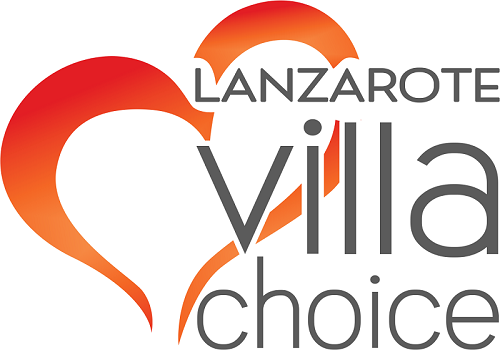 If you think that Tias could be an option for your holiday in Lanzarote check our villas LVC292983 and LVC299791. It was a beautiful day yesterday to take photos of a new 5 bedroom villa in Puerto Calero which we are adding to our portfolio. Its not your traditional type of villa. Very spacious, it was easy to get lost after wandering around for the first time. I always think of my family holidays when I look these larger places and how we would all fit in. This villa could of been a competitor as there were plenty of rooms for all of us to find some privacy including 2 lounges and nice outside are with a gated pool so we could let the kids run free. There was even a gym and a games room. Its such a nice area and great place to relax so we welcomed a trip down the marina for a cold drink to cool off. We had a great opotunity to stay in a yurt for one night last week. We were invited to try out the experience by one of our owners. It was only one night but I came back feeling completely relaxed. For those of you that do not know what a Yurt is, its a large round tent double skinned which is used by nomads in central Asia. The structure comprises an angled assembly or latticework of pieces of wood or bamboo for walls, a door frame. Yurts have been a distinctive feature of life in Central Asia for at least three thousand years. The Yurt we stayed in was in a self contained complex offering Eco living. The spacious bedrooms were contained in individual Yurts with a open stone built kitchen and shower room separate. If you enjoy outdoor living it is just the perfect place. A get away from it all experience with no TV and wifi available only in the comunal area. The retreat offers services which include an onsite Honesty Shop and wine racks stocking a selection of locally produced wines. This supplements the delivery service of Local Farm Produce Grocery Boxes. Younger visitors will be amused not only by collecting eggs from the free-range hens and meeting Mollie, our resident donkey, but also by letting off steam in the mini adventure playground with a wooden “pirate” boat and sunken trampoline. Some 8 years ago Jackie became a Wedding Celebrant in Lanzarote as she loved being involved with positive happy people and helping them celebrate their special day. She has lived in Lanzarote for over 15 years, she found that being a Celebrant was the most rewarding job she has ever had. The skills and experience she has built up over the years have enabled her to provide couples with the perfect wording for their ceremony and to create an atmosphere on the day that is truly memorable for them and their guests. Lanzarote has hours of endless sunshine, amazing beaches and beautiful sunsets, so why not make Lanzarote the perfect place for your Renewal of Vows . The services can be held in many different areas around Lanzarote including Puerto Del Carmen, Puerto Calero, Costa Teguise, Playa Blanca and many more locations. Sometimes it’s just two people on holiday who want to renew their vows or sometimes its a group of your family and friends but whatever you are looking for Jackie can advise. Her aim is to give you a meaningful ceremony that is totally unique to you, and expresses everything that you wish to say to your partner, family, children, or friends. Everything she provides helps to make your special day unforgettable.